Jussi Adler-Olsen's thrilling psychological tale Mercy (Penguin 13th May 2011) has been translated in English for the first time. Prepare to feel the pressure as you follow Carl Morck’s attempts to uncover the secret of what happened to the beautiful and brilliant politician Merete Lynggaard. Hi Jussi. First of all, thank you for agreeing to an interview. I wanted to dive straight in and ask about what impact spending time in hospitals for mental health patients had on both your childhood and your writing? Living among mentally disabled people and the sometimes raving mad has of course had a great influence on my life and on my writing. Through my exciting and also very happy childhood I learned of the duality of Mankind - how bad and evil can live so well together in every person and especially how society can influence which part of the human being is dominate its actions. So, therefore, I personally find that psychology plays a crucial part in a crime- or thriller story. Without true empathy and understanding for the psychological interaction between different characters, literature, in my opinion, suffers as a result. Did studying medicine (and being in hospitals in your childhood) give you an insight into the way in which patients deal with both pains, and being confined to one space? I learned a lot from my childhood at mental hospitals, but first of all I learned to treat my surroundings with respect for their individuality no matter how strange and odd they could seem. And when you do that you’ll almost always be met with great confidence, trust and above all, openness. So yes, without this childhood and the period where as a grown-up I walked among very sick patients (and sometimes doctors), I wouldn’t have been able to create characters who are under heavy pressure, full of bad and psychological contrasts. Egely seems to be both a bleak and a welcoming - as much as possible - place. Does this juxtaposition reflect how you felt as a child compared to how to now feel about such places? Well, before the psychoactive drugs came to Denmark, I lived in a mental-hospital where two of the doctors scared me more than the troubled patients. In my father’s opinion, they treated the patients unnecessarily harsh. Those two men in white were absolute powers in my world. They were the ones with the injection-needles, the rubber things in their pockets and the strong eye-glasses. One of them always started a meal by drinking two raw eggs from a glass - THAT scared me, not the patients, and since then I have been looking upon authorities with an absolute power to rule over the lives of others with certain disgust. So yes: there is some reflection to the hospitals of my childhood in Egely. You seem to avoid brutal violence in the crimes that are committed. Do you think there is more power in psychological damage? It is true that there are not many descriptions of violence in my novels, and yet it IS there, only not in a detailed form. I have a couple of dogmas in writing, and one of them is that the reader must have the opportunity to create their own images from my not so detailed descriptions. I call it the ‘missing voice’ in the story. If I continually try to challenge the imagination of the readers, especially their individual psychological experiences, I’m quite positive that we end up with not only a good read but also a better understanding of the life and individuals around us. And THAT’S powerful. Everyone in the novel appears to be suffering from post-traumatic stress disorder in some way. Are you interested in the ways in which we attempt to deal with trauma? We must realize that in every kind of disorder, we should treat one person in a different way from another, however, that is very seldom respected in real life. Normally psychiatrists, psychologists, people working in the health system, the police force or the military haven’t got the time needed to properly analyze the problems of every individual case. And as a result we have a lot of mistreated people walking around in our society. Each of these people is somewhat like a missile either posing a risk to themselves or others in their surroundings. Of course, though, this can then easily be turned into a good story for an author like myself. What could be more interesting to write about but a person not capable of controlling their own feelings and deeds? Do you think that we all need a certain element of trauma in our lives in order to be able to function? After all, Carl is interested in Sudoku and coffee and is living a half-life until he becomes fascinated by the Merete Lynggaard case. Well, the best quiet moments in life are normally these kind of ‘half-lives’ with a comforting cup of coffee in the hand, the feet on the table and in front of the TV-set safe at home after a working day. The societal pressures to make yourself indispensable is hard for most of us, but in the case of Carl Morck there is a dimension of self-hatred too. He is full of shame following an incident at work where he nearly died and finds it hard to think about everything else. At the beginning of the story the fascination of the Merete Lynggaard case was not his own but of his assistant Assad. So like Sudoku and the television can catalyse a certain form of meditation far away from everyday troubles for all of us, suddenly Assad catalyses Carl to remember that there is a need for him. Traumatic experiences can certainly stop the positive drive in a human being, but being able to get through the troubles normally will make us all more capable of understanding the world around us much better. You studied many things before you settled into a career as a novelist. Do you feel that this has helped you in any way? I’m so happy that my father once said to me: “Jussi, you have so many talents, try to explore them all through your life”. With these loving and wise words he gave me the opportunity to care about my life, my jobs and my studies no matter what I chose for the moment. He also gave me the understanding that having a talent for something makes you responsible for doing not only the best you can, but making sure you always give your deeds a lot of forethought and afterwards always remember to evaluate the results. I sometimes think if most politicians had a father like mine the world would be so much more considerate and creative. Anything I learned in my life from my fantastic jobs and interests (and due to meeting so many different people) certainly helped me in finding it easy to put myself in the situation of my characters. The character of Assad often provides comedic relief. Do you feel that this is important to the reader, to have some ‘down-time’? Someone said that the shortest distance between two people is a smile. It is not totally correct, but almost. The shortest distance between two people is a laugh. Upon humour you can meet each other in any subject, so the humour is not only there to give the reader a little air in the compressed and scary story, but also a little time to reflect about ourselves and our surroundings, and that is really a good form for ‘down-time’ in my opinion. Both Carl Morck, the crime investigator, and his assistant Assad have a grim past. We get a certain feeling of that but not of exactly what or why, but with the ping pong humour between them we can meet any information about them later on without losing our affection for them and their personalities. Carl’s reaction to Assad seems to be one that is slightly uncomprehending at times. Is Assad’s intelligence and significance in the solving of the crimes a deliberate subverting of racial stereotypes? The first time I realized (and it has happened a couple of times since then) that my ethnic taxi-driver had a far better intelligence than I, I began to look upon the ethnic population in Denmark with confusion at one side and curiosity at another. How is it possible for us to ignore the fact that coming from another culture doesn’t necessarily mean that you are different in being creative, open minded and multifaceted? Assad is obviously not a common stereotype, but who is when it comes to each individual given the right opportunity to prove themselves? Let’s get rid of the labels and stereotypic thinking of our surroundings. It brings nothings but simplicity. You have left room for development for the relationships between your characters. Are you excited to see them grow? The first I ever wrote in the series of Department Q were the three long and exciting stories of Assad, Carl Morck and the fine girl Rose (who arrives in the next novel) which binds the whole series together. My aim was - for the first time in history of crime and thriller stories I think - to create not only a standard development of the main characters personalities, interactions with each other and in their private life, but also to create a story in itself which is unpredictable. It has been very exciting and still is, so many times the characters can even surprise in the process of writing with their wit and unpredictability. 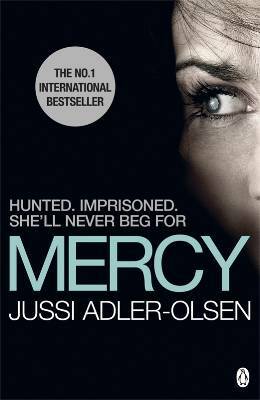 In MERCY, published by Penguin 12th May 2011,Jussi Adler-Olsen expertly brings together a gripping (and terrifying!) plot, tight writing and excellent character depiction. This is the very first time that the 2010 Glass Key Award winner (previously won by Stieg Larsson, Jo Nesbo and Henning Mankell) Adler-Olsen has been translated into English and published in the UK. In Denmark, MERCY hit the No 1 spot remained in the Top 3 for over a year. Jussi has also topped the charts in Germany, remaining on the bestseller list for 60 weeks so far. 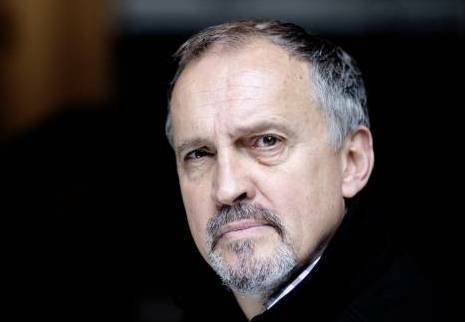 Jussi Adler-Olsen has written six novels so far. Alfabethuset/The Alphabet House, Og hun takkede guderne/The Company Basher as well asWashington Dekretet/ The Washington Decree are major international thrillers, whereas Kvinden i buret/The Woman in the Cage, Fasandræberne/The Pheasant Killers, and Flaskepost fra P/Message in a Bottle make up the first three volumes of the Danish crime-thriller series on Department Q.